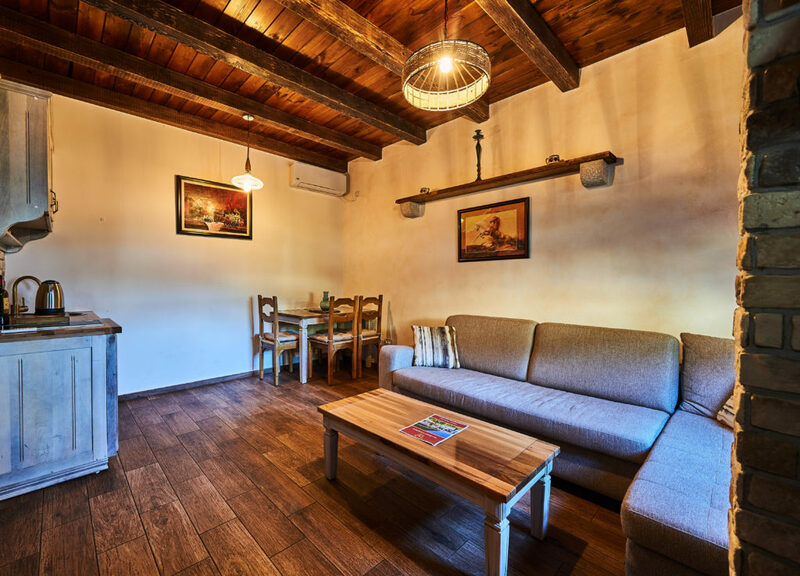 Villa Cabernet has 35 sq meters, 1 bedroom with double bed, sofa bed in common space, kitchen with dining table and a private bathroom. 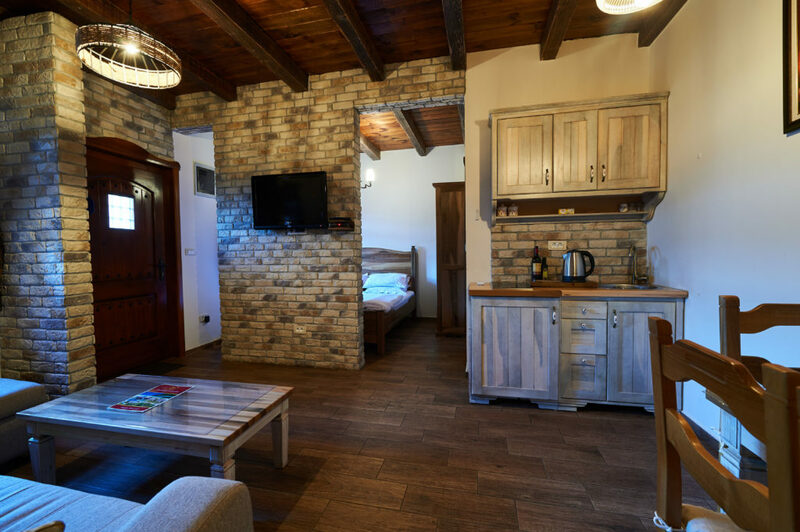 Every part of the furniture is handmade out of the walnut tree and environmental friendly materials, so that justifies the name of our resort. 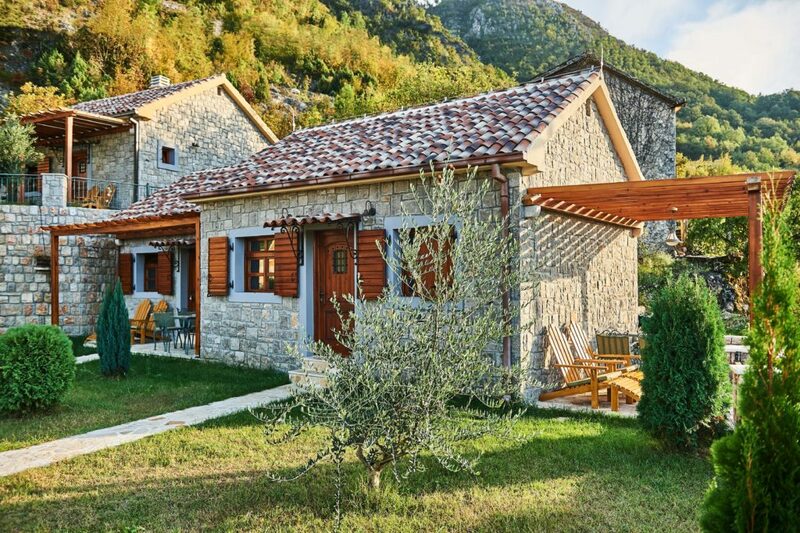 This villa offers comfort and signature of a Montenegrin rustic style. 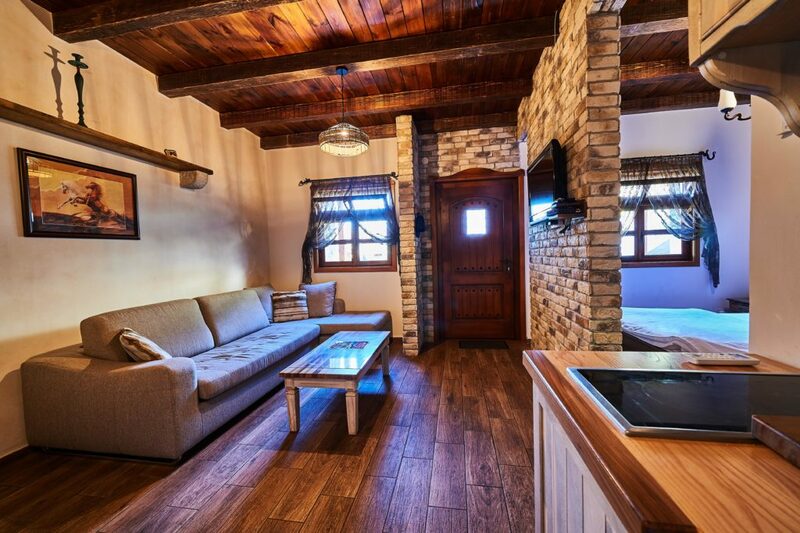 Villa is individually furnished and feature bright bedroom, carefully chosen details and rich vibrant materials. 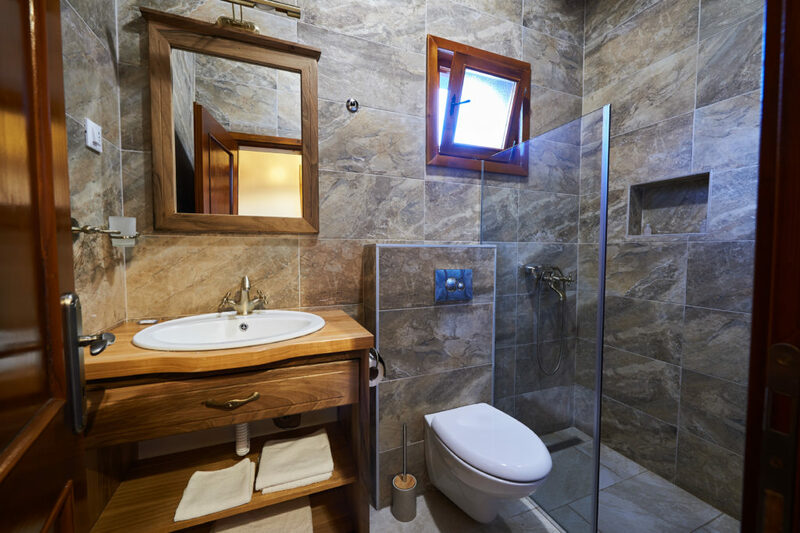 We carefully selected all the details with a historical significance that will give you the impression of old times. A very beautiful and cozy place with a friendly service. The place had an extraordinary view and the small stone houses are so charming. A place really to relax and enjoy the hosts local and good food. The place is best for couples, to enjoy near the pool. They offer wonderful food and wine to buy, remember to book in advance. The vineyard has a magnificent view into the mountains – be prepared to take a lot of pictures at different times of the day. Rooms and the pool were both new / well equipped and perfectly tidy. All the materials are chosen with taste – we have particularly loved the authentic flair thanks to the stones traditionally cut by hand. Don´t miss to ask Nemanja and his wife for the kayaks, and go for an early morning or late afternoon experience on Skadar Lake! Unforgettable!